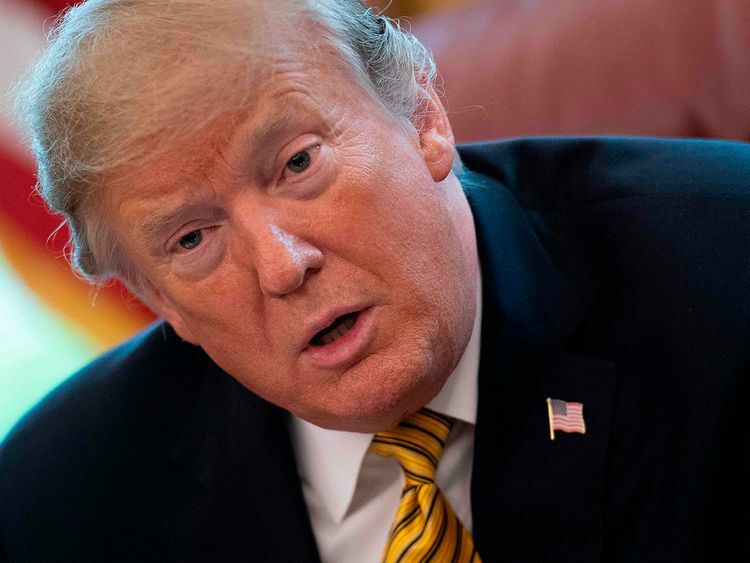 Washington: President Donald Trump on Thursday retreated from his threat to close the US-Mexican border imminently, warning he will instead impose car tariffs if the major US trading partner does not do more to stop undocumented migrants and drug smugglers. Trump said he was giving Mexico one year to get the cross-border drug trade down before he imposes tariffs. If that does not work, closing the border would come next, he said. Although not completely clear in his comments, the one-year deadline also seemed to apply to Trump’s demand for a crackdown on the flow of migrants. Earlier, the White House had suggested that the border might be shut down, at least in part, within days — making good on Trump’s promise to take drastic action against what he says is a national emergency from the influx of undocumented migrants and drugs. Trump is visiting the border area in California on Friday, raising expectations for a dramatic statement. However, his threat alarmed politicians across the country, including in his own Republican Party, who warned of dire economic fallout. This was the second apparent climbdown by Trump on a big issue in a week. Earlier, he backed away from announcements that the Republicans were ready to reform America’s notoriously expensive healthcare system, when party leaders indicated they did not want to get sucked into what amounts to a political minefield. Trump’s new border policy was announced in a confusing statement to journalists at a White House meeting on the completely unconnected subject of US urban renewal. Speaking without notes, full of digressions and often failing to finish sentences, Trump was not wholly clear on the details of his border policy changes. “If Mexico doesn’t do what they can do very easily, apprehend these people coming in ... we’re going to tax the cars and if that doesn’t work we’re going to close the borders,” he said. “For the Mexican government, it is very important to keep migration issues and trade issues separate,” he told a press conference. “The United States sometimes mixes the two issues. To us, it’s very important to keep the ratification of the trade agreement (the newly negotiated USMCA or United States-Mexico-Canada deal) on one track and migration-related issues on another,” said Marquez. “In terms of any new tariffs, we would have to discuss them in terms of a relationship between two trade partners who are in the process of modernizing a trade agreement,” she added, referring to NAFTA, the existing trade agreement that the new USMCA deal seeks to update.